Anthony Glass Display Doors | Windrock Enterprises, Inc.
Windrock Enterprises is proud to provide quality, energy-efficient Anthony glass display doors to convenience and liquor stores. The commercial refrigeration industry has been challenged with refrigeration cases that heavily consume energy via door heat and gasket degradation. 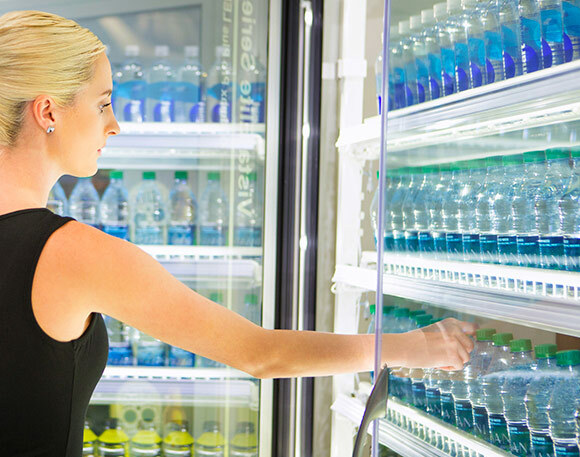 Rising energy prices and stringent Federal Department Of Energy requirements have set a new standard to reduce energy consumption of commercial refrigeration equipment. Anthony’s innovations help solve these issues within our industry. Patented advanced door closing technology, the Cloze Control® prevents slamming by softly closing cooler and freezer doors, further reducing gasket and mullion wear. LifePlus Gasket® is a gasket material offered only through Anthony that maintains tight door seals at cold temperatures and has a high resistance to fatigue. The energy-free Eliminaator Renu® cooler and freezer doors with no heating element incorporate insulating materials for no sweat in temperatures as low as -10°F. Providing significantly reduced energy use and operating expenses. Enjoy Energy Savings with Anthony glass display doors and Windrock Enterprises.